If you want to speak cigar, here are some important terms for you to master. • Aroma: The scent of a cold cigar either from the wrapper or foot. The scent of the smoke produced from a burning cigar. • Band: A ring of paper wrapped around the closed head of most cigars. Some cigars have it around the foot, or two bands, one on end. The band often contains the name of the brand, the company and country of origin, and/or indication that the cigar is hand-rolled. • Barrel: The body of a cigar. • Binder leaves: the intermediate leaves that hold the leaves of the filler tobacco together. • Blend: The mixture of different types of tobacco in a cigar, including up to five types of filler leaves, a binder leaf and an outer wrapper. • Bloom: A harmless white film caused by tobacco oils rising to the surface of the cigar wrapper. Usually indicates a strong taste. • Bouquet: Used to describe the smell of a fine cigar and, of course fine wine, but strangely not the smell of a fine bunch of flowers. • Bunch: The intermediate cluster of filler tobacco in a cigar. • Bundle: A group of cigars sold by manufactures that are not in boxes (see Mazo). • Burnt Mocha: My own name for a flavor mix of chocolate, cream and charcoal. Quite often found as the finishing flavor mix in a cigar with a maduro or oscuro wrapper. • Canoeing: And no, not a small boat you paddle up the river. It's when the cigar burns up one side only. • Cap: The small flag of wrapper leaf and vegetable gum-based glue that a cigar roller uses to seal the head of a cigar. • Chaveta: The knife used in a cigar factory for cutting the wrapper leaf. • Coolerdor: An insulated storage container for cigars, usually somewhat large. • Cuban Sandwich: Short fillers nestled within long fillers then wrapped with a binder leaf. • Draw: The amount of air that gets pulled through a cigar. i.e. free, firm, tight, plugged. • Flag Leaves: Used instead of a cap. Flags are sometimes tied off in a pigtail or a curly head. • Hot: A cigar draw that is too easy, often because it has been under-filled during rolling. • Inhale: The big No-No of cigar smoking. Do you inhale? Don’t’! • Foot: The end of the cigar that you light. • Humidor: A cigar storage box with controlled humidity. Usually Made from wood, a quality humidor is lined with Spanish Cedar. (See Tuperador or Cooerador). • Hygrometer: A device to measure relative humidity (no good humidor should be without one). • Long Filler: Tobacco leaf that is long enough to run the entire length of a cigar’s bunch. • Mazo: Spanish word for handful or bunch. • Mold: Can be on your cigars, or in your humidor when there is excessive humidity. Always use Propylene Glycol or distilled water, never use tap, or purified water in your humidor. • Plugged: A cigar draw that is too tight. • Propylene Glycol (PG): Employed in the humidification of tobacco products. • Shoulder: Where the head of the cigar meets the barrel. • Tobacco Beetle: Can hatch any time your humidors have an internal temperature above 74 degrees. • Tooth: The texture of the wrapper; it can be like fine sandpaper or pebble like bumps. • Torcedor: A highly trained cigar roller. • Tunneling: or stove-piping is when the center of this cigar burns faster than the wrapper. • Tupperdor: An airtight plastic container used for storing cigars. • Vitola: the unique measurements of a cigar. Two cigars of the same vitola have similar measurements and form. 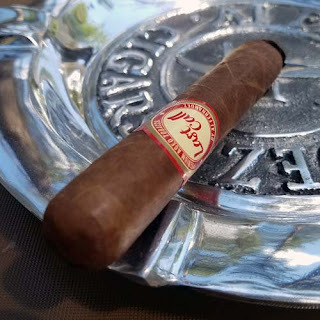 • Wrapper: A leaf of (usually) high quality tobacco wound around the center of the cigar. The wrapper leaf is chosen for its texture, veining, elasticity and aroma.